The Pejarakan Project is located in Northwest Bali and in close proximity to the Bali Barat National Park. This project is recognized worldwide for its array of native biodiversity, both on land and in the sea. The project works towards regenerating, preserving and restoring this unique biodiversity. The coral reefs of Pejarakan have been destroyed for the last 60 years due to destructive fishing practices using dynamite and cyanide leading to massive losses of marine life and biodiversity. The project takes a holistic approach to community-led ecosystem management by tackling marine, coastal and terrestrial environmental degradation. The project combines coral reef restoration, agroforestry, mangrove replantation and a plastic recycling scheme with the aim to empower the local communities to sustainably manage their natural resources. The project is fully supported by PUR Projet, an Ecosystem Rehabilitation Company based in Paris, France. Community group trained by Biorock Indonesia experts are Pokmasta short for Kelompok Masyarakat Pariwisata (Tourism Community Group) in Pasir Putih Beach, Pejarakan. 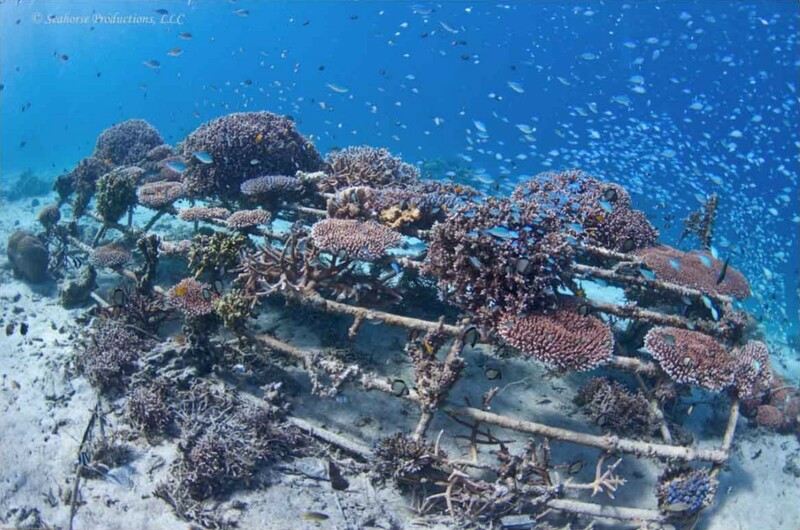 The artificial structures provide a solid substratum for corals to grow on and will attract a wide range of other marine organisms. 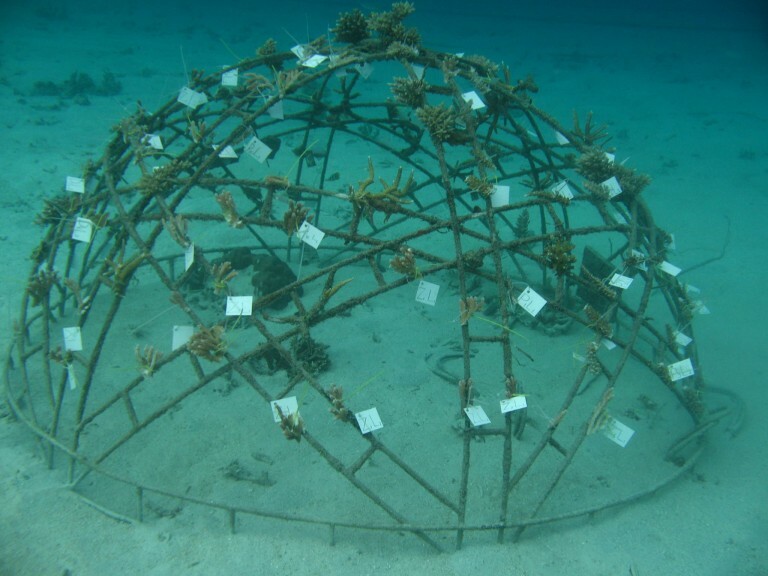 To support and sustain coral growth, the project uses a technology called Biorock. Biorock consists of passing a low voltage current through the structures – the resulting electrolysis of seawater causes minerals that are naturally present in the seawater to precipitate onto the structures forming a solid limestone coating. 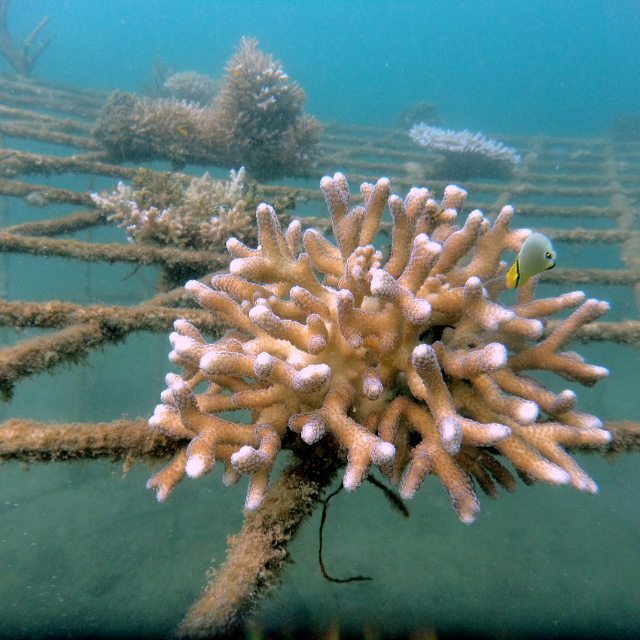 Corals growing on Biorock structures are said to be more resilient to pollution and climate change. Indonesia is the second largest contributor of marine plastic after China; plastic pollution is threatening marine life and ecosystems causing an estimated 13 billion USD worth of damages every year. The project combines beach cleaning through educational events, workshops and trainings, raising awareness for marine pollution as well as coral restoration and preservation. It also includes the implementation of metallic recycling bins and payable recycle collection for shops and businesses. During the rainy season, heavy rains wash away large quantity of sediments, which are directly discharged into the sea. 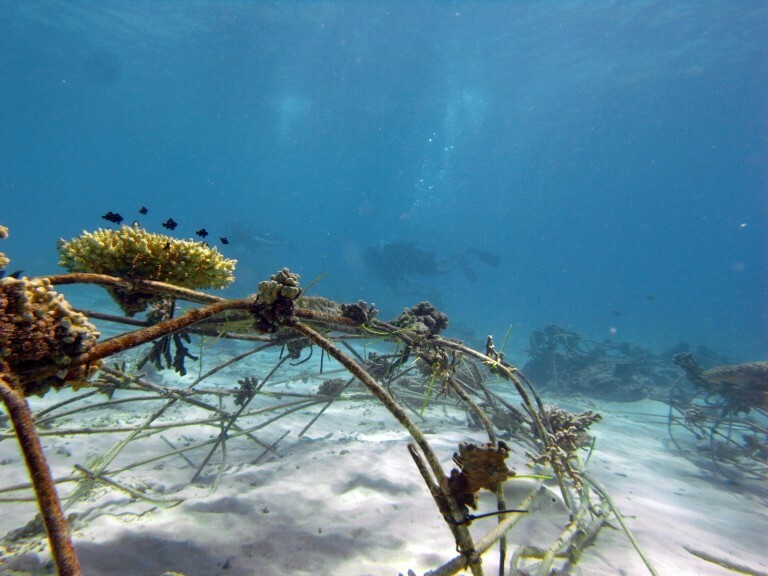 Sedimentation has a significant negative effect on coral health, hindering restoration effects by inducing additional stress on marine organisms. The project includes the planting of timber and fruit trees around fields, village temples and rivers beds in order to improve soil retention, reduce soil erosion and runoff, enhance water quality within the lagoon with direct positive impact on coral health, and provide an alternative income source for villagers (fruit and other tree by-product to be sold on local markets). The Pejarakan Project also aims to conserve and restore mangrove forests, an initiave that is very important for coral health, biodiversity and climate change adaptation (protect coastal areas against storms and floods). PUR Projet establishes local mangrove nursery for plantation, restores disused salt farms to productive mangrove systems and pushes for legislative protection. The project is currently in the initial stages of development. Participants are members of the different community groups, their families as well as the wider community of Pejarakan. Trees for the agroforestry element are planted with local corn, peanuts and chilli subsistence farmers living in the area. 2016 was also a hottest year where so many natural corals have suffered from bleaching. 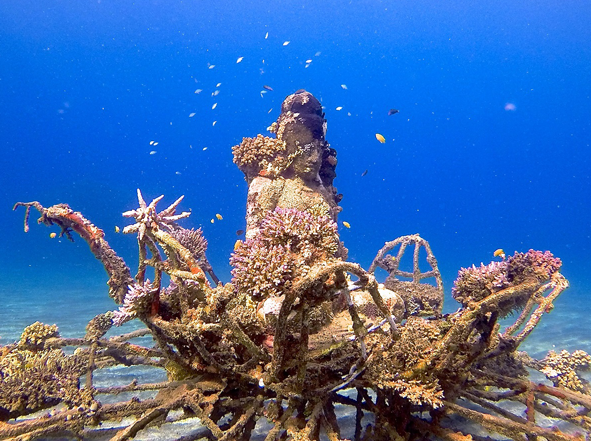 Most of the corals are died in extremely hot temperature. However, corals which have grown in the installed Biorock structure survived and thrived even healthily during the mass bleaching event.